Everyone has thrown or been to a party. Organising a successful party and marketing a successful company basically follow the same concept and structure. To create a successful party for guests, every detail must work in harmony with each other - the same goes for marketing and customers. This original book uses the metaphor of the party to help managers and entrepreneurs to understand the key drivers of successful marketing, and how you can apply them to your company. 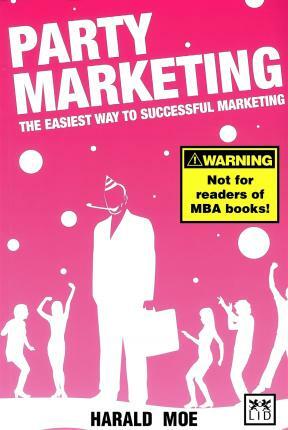 Unlike ordinary marketing books, this book contains no graphs, models or theoretical frameworks. Instead, Party Marketing is written in the form of a narrative where party planning and the various stages of marketing are woven together, to provide a set of practical principles for successful marketing. Harold Moe has worked in senior marketing and sales positions for over 30 years. Today he works in business development and communications, with a constant focus on satisfying customers' needs and solving their problems. Lennart Grahn is a freelance copywriter and has worked with several large ad agencies.